Observation - Brave vermin. - UK and Ireland. Description: A rat that seemed remarkably unconcerned about me being on the path near it. 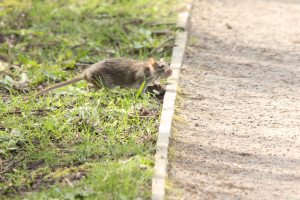 A rat that seemed remarkably unconcerned about me being on the path near it.